The second of three pages about the life of Col D.A. Lane, this one covers the remainder of WW1, his marriage and return to Tasmania. 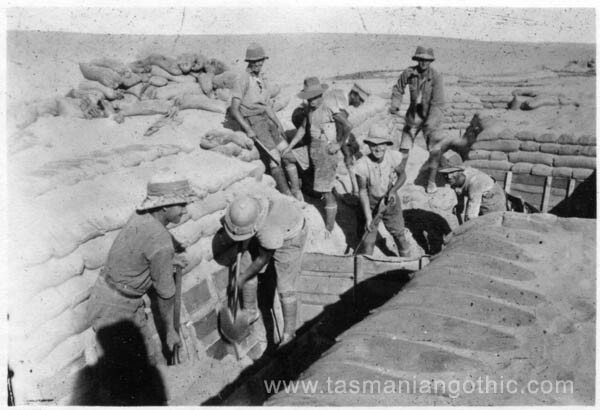 The first outlines his life up to the withdrawal of Australian troops from the Gallipoli Peninsula in 1915, and the third, yet to come, will continue his busy life as Forestry officer, Boy Scout Commissioner and part-time soldier in Tasmania. On 1 January 1916 the 12th Bn on Lemnos embarked on HMT Lake Michigan for Alexandria. From there they took the train to Tel-el-Kebir where they set up camp ready to go on to the Gabel Habeita sector of the Suez Canal defence line. 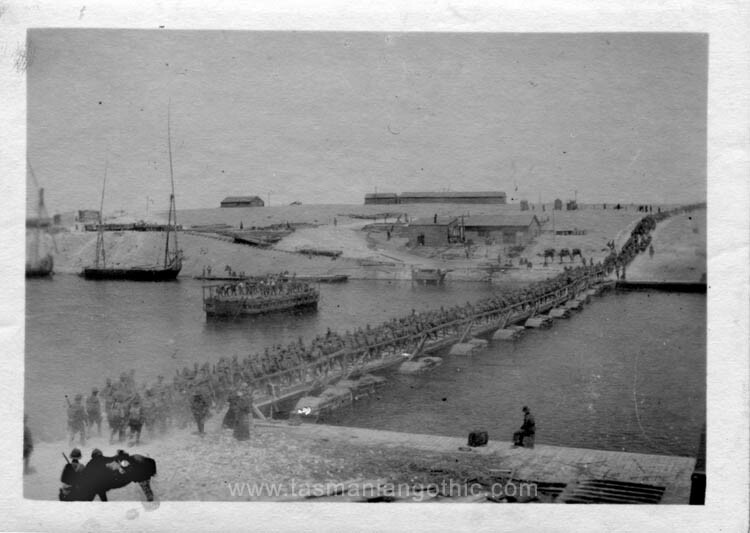 Three weeks later they were defending the “Railhead” of a new railway line being pushed further east into the desert, with support from a staging camp closer to Serapeum, where a pontoon bridge crossed the canal. In Europe, the British occupied a sector between Ypres, in the north, and the river Somme. By October 1914 a continuous trench-line had developed across France from the Swiss border to the North Sea; the British front had hardly moved since then. After the Germans attacked Verdun in February 1916, more troops were urgently required to defend France. As it appeared there was no imminent threat of another Turkish attack on the Suez Canal, the A.I.F. was reorganised in preparation for a move to Europe. 4th and 5th Divisions were raised from reinforcements arriving from Australia, and the old battalions were split up to provide an experienced nucleus for each of the new units. In the 12th Bn the decision on which half should retain the name and which become the 52nd Bn was made by the toss of a coin in the Officers’ Mess.i Lt Col Miles Fitzroy Beevor became the 52nd’s Commanding Officer. On 1 March 1916 the senior major, Major D.A. Lane, marched the 52nd Bn off to the train for Tel-el-Kebir and thence to Alexandria. From 3 June as Brigade Field Officer he took command of the 49th Bn while its CO Lt Col Francis Lorenzo was on leave. 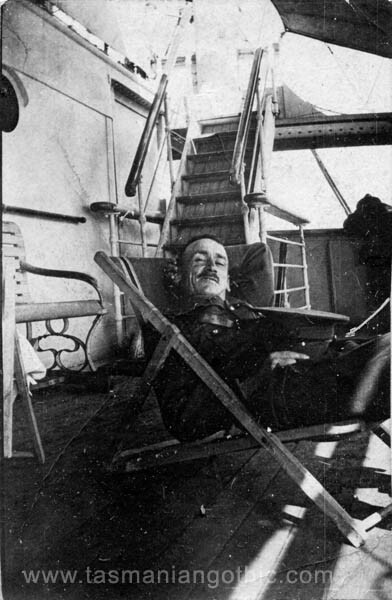 The 49th sailed for Marseilles on Arcadian with Major Lane as C.O.Tpt, disembarking on 12 June and travelling with the 13th Bde to relieve 3 Bde in the Petillon Sector on the Somme. 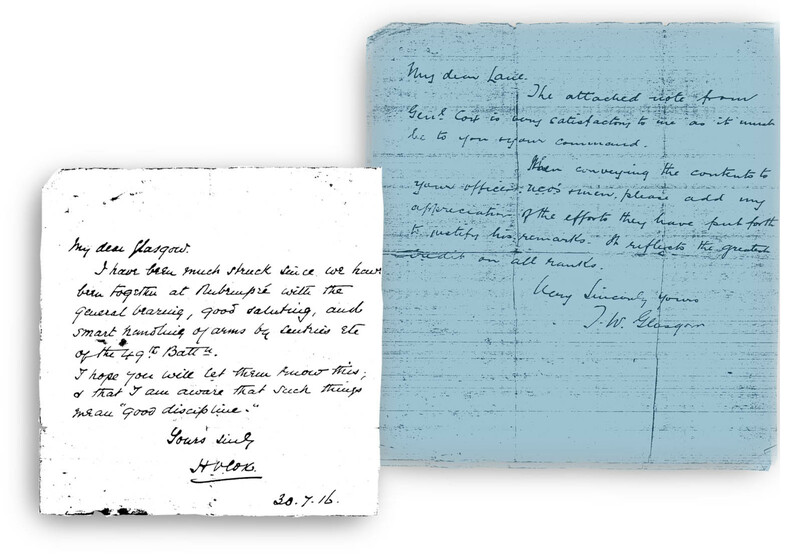 Apparently Denis did a good job – a handwritten note from General Cox in July 1916 congratulates him on the “general bearing, good saluting, and smart handling of arms by sentries etc of the 49th Bn”. On 3 August he returned to 52nd Bn. 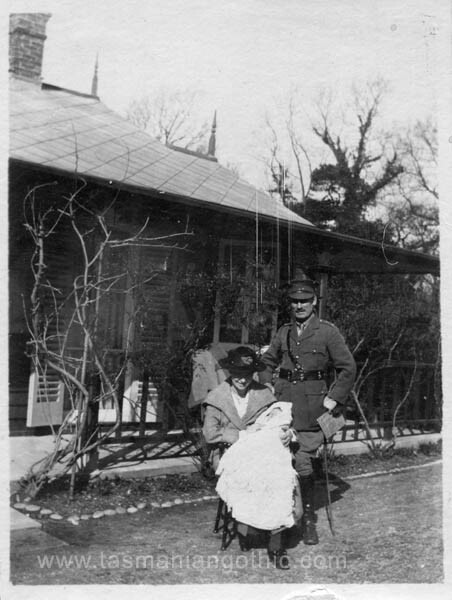 The 52nd Bn relieved the 12th at Fleurbaix, and at the battle for Mouquet Farm on 3 Sep 1916 Lt Col Beevor received a gunshot wound to the thigh; he was repatriated to Australia a month later. Major Denis Lane took command. He was temporarily promoted to Lt Col to command the 52nd Bn on 14 September 1916 and this appointment was made substantive on 7 November. He spent six months in command and always referred to it as “my Battalion” in later years. The 52nd went on to fight at Ypres, Bullecourt, Lagnicourt, Messines, Devancourt and Villiers Brettoneaux before being disbanded on 16 May 1918 to provide reinforcements for the 49th, 50th and 51st Bns. Lt Col Lane was seconded to the 13th Infantry Training Battalion at Codford on Salisbury Plain on 21 March 1917. 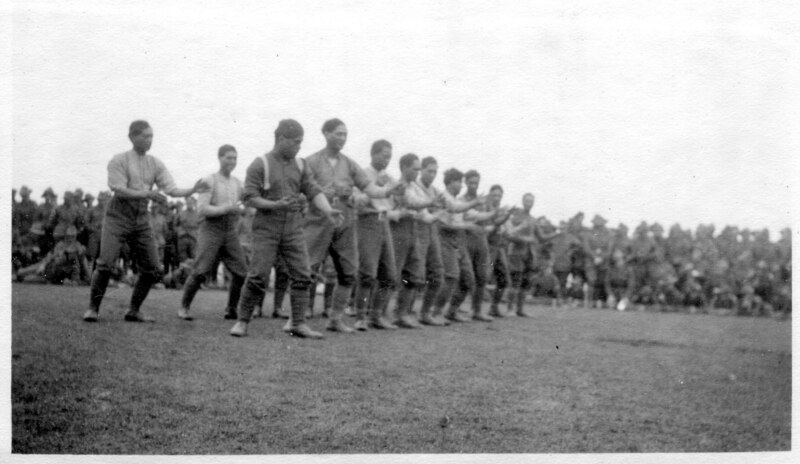 That year Anzac Day was celebrated with boisterous sporting events at the camp, and included a haka performed by New Zealand soldiers. By this time Denis Lane’s brothers Alf, Bert and Bernard had also joined the A.I.F. 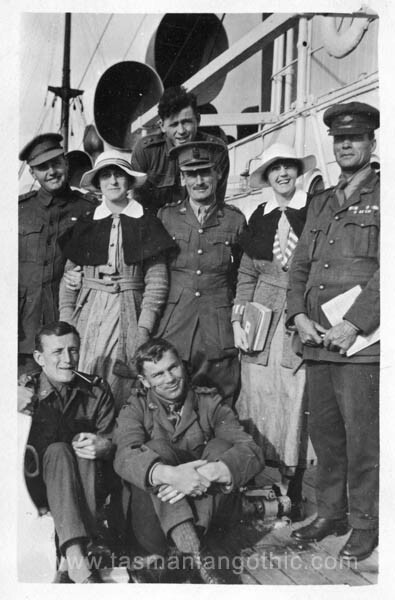 Of the eight Lane brothers only two stayed in Tasmania – Harold, to keep their small farm in Lindisfarne going, and Roland (John) who made up for being too young for this war by joining the Light Horse in 1939. Bernard was severely wounded at Bertancourt and died on 17 May 1917. Later the same year Bert was struck by a shell which failed to explode, but lamed him for life. Fred enlisted as 2nd Lieutenant in the 47th Bn in 1915 and had spent the entire war involved with administrative duties behind the lines. He was now based in England where he “visited uncles and aunts galore.”ii As their father was the second son in a family of thirteen, there were plenty of cousins as well – a lot of them female and pretty. Before long Fred became engaged to his cousin Doris, and six weeks after meeting her sister Eva, Denis was engaged too. In July 1917 Fred finally got to France to do some real fighting. He was hit by a shell at Dernancourt on 28 March 1918. 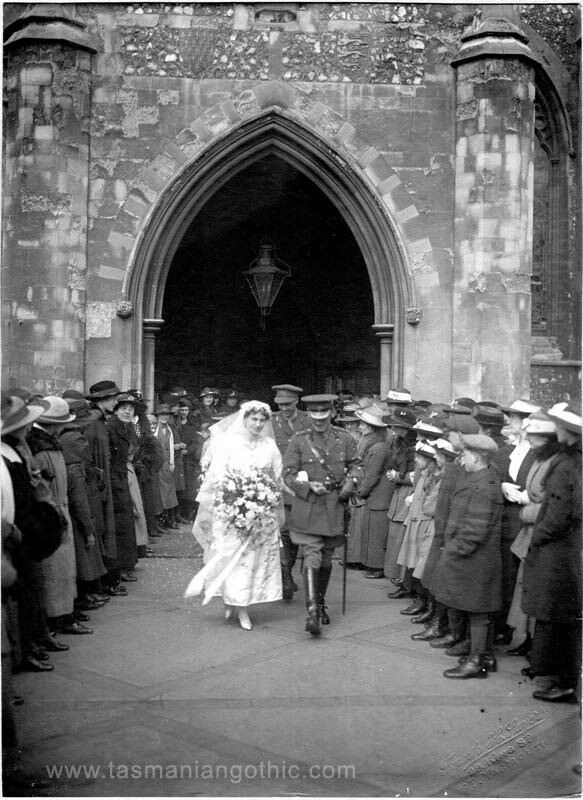 The news of his death came through on the morning of 4 April 1918 – Denis and Eva’s wedding day. It was quickly decided not to tell Doris, who was to be bridesmaid, until after the wedding. 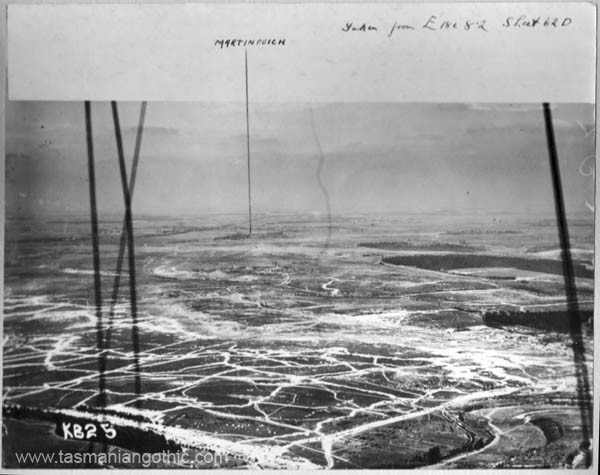 On 1 November 1917 Lt Col D.A. 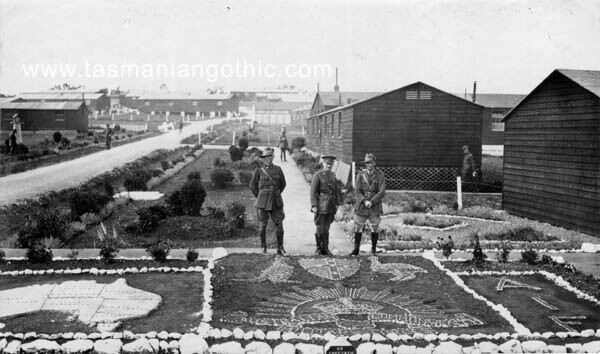 Lane had taken command of Sub Depot D, No.2 Command Depot, Littlemoor Camp, Weymouth, which opened in September 1917 as a training camp for convalescent soldiers on the way back to the Front. Denis and Eva moved into a pleasant bungalow convenient to the depot and early in 1919 their son, named Bernard for his fallen uncle, was born. “430 ORsiv marched in from No 1 Command Depot for return to Australia on commencement of demobilisation”v and they kept coming. Troops were bedded down in drying rooms, Red Cross billiard rooms, the Chapel, forage sheds, the hospital mess hut and eventually even the “wet” mess; winter was coming on and the weather unsuitable for sleeping under canvas. Then mumps broke out. It must have been a relief when Lt Col Lane found his own name on the boat roll and on 7 April 1919 embarked as O.I.C. Troops on the Tras-Os-Montes, previously known as Buelow before the Portuguese liberated it from its German owners. 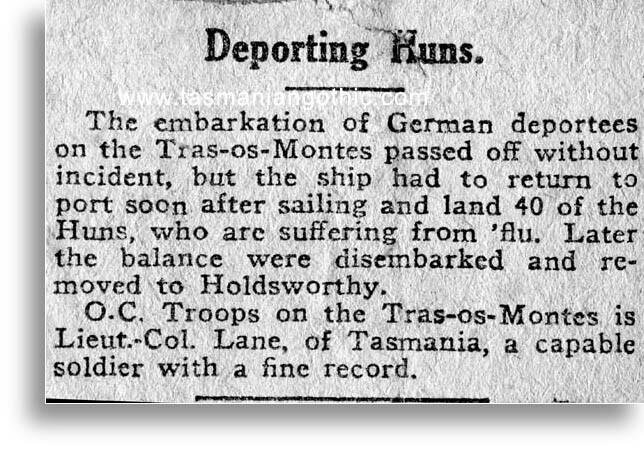 In Sydney the troops disembarked from Tras-Os-Montes and their place was taken by deportees bound for Rotterdam, who presented the O.I.C. with a whole new set of problems for the return journey. 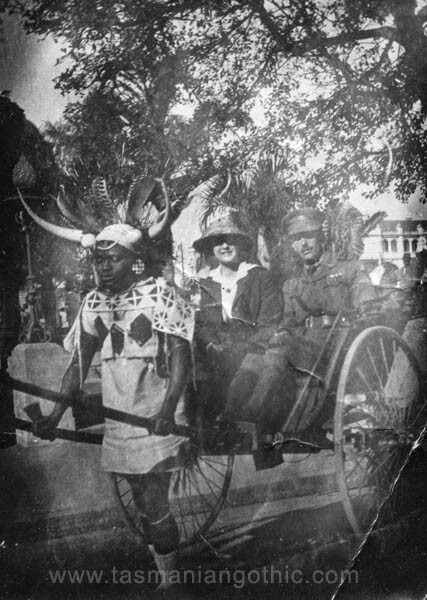 In September 1919 Denis was able to gather up Eva and their infant son Bernard and go home to stay, with a spot of sight-seeing in Durban along the way. Home for Christmas 1919. 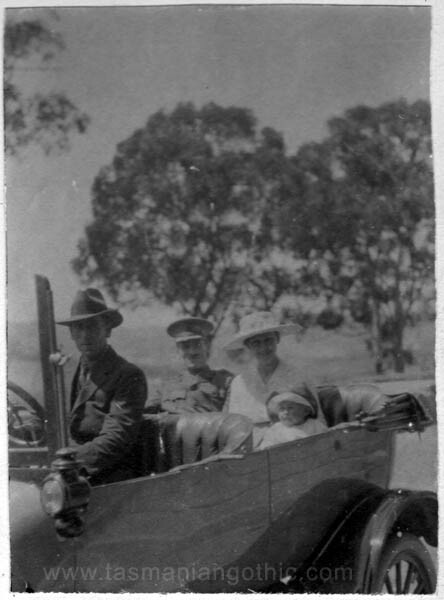 Denis, Eva and Bernard with Norm at the wheel of the car the family bought when Bert was invalided home the previous year.